The report examines the federal government’s policies and actions related to the capture, detention and treatment of suspected terrorists during the Clinton, Bush and Obama administrations and across multiple theaters. The timeline highlights important events related to detainee treatment, beginning as far back as 1791 and stretching all the way to the present day. 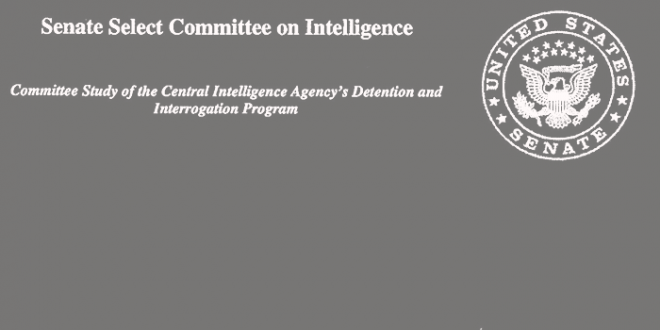 Statement of members of The Constitution Project Task Force on Detainee Treatment regarding the report of the Senate Select Committee on Intelligence on the CIA detention and interrogation program. 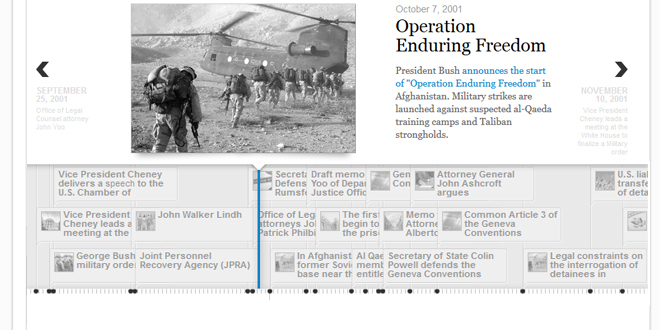 The Constitution Project’s Task Force on Detainee Treatment is an independent, bipartisan, blue-ribbon panel charged with examining the federal government’s policies and actions related to the capture, detention and treatment of suspected terrorists during the Clinton, Bush and Obama administrations. The project was undertaken with the belief that it was important to provide an account as authoritative and accurate as possible of how the United States treated, and continues to treat, people held in our custody as the nation mobilized to deal with a global terrorist threat. On taking office in 2009, President Obama declined to undertake or commission an official study of what happened, saying it was unproductive to “look backwards” rather than forward. Senator Leahy (D – VT) introduced legislation to establish an independent commission to look into the U.S. behavior in the aftermath of the 9/11 attacks, but Congress did not to act on it. In many respects, this Task Force report is the examination of the treatment of suspected terrorists that official Washington has been reluctant to conduct. It is the product of more than two years of research, analysis and deliberation by the Task Force members and staff. It is based on a thorough examination of available public records and interviews with more than one hundred people, including former detainees, military and intelligence officers, interrogators and policymakers. Task Force staff and members conducted on-the-ground fact-finding in Afghanistan, Iraq, Libya, Lithuania, Poland and the United Kingdom, and also at Guantanamo Bay. 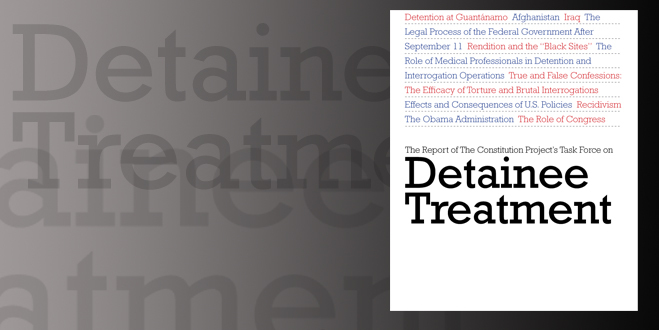 Although the investigation proceeded without the advantages of subpoena power or access to classified information, we believe it is the most comprehensive record of detainee treatment across multiple administrations and multiple geographic theatres yet published. Task Force members believe that having as thorough as possible an understanding of what occurred during this period of serious threat – and a willingness to acknowledge any shortcomings – strengthens the nation, and equips us to better cope with the next crisis and the ones after that. We hope you find this website useful in igniting that dialogue.